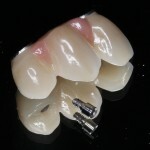 Dental implants are becoming more popular as a predictable and safe means of replacing lost or damaged teeth. 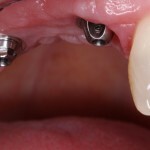 A dental implant is most commonly made of titanium and is inserted into the jaw bone during a small dental procedure. 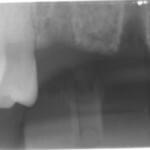 Once implanted into the jaw bone it takes approximately 8 -16 weeks in most cases to heal fully and fuse with the bone tissues. 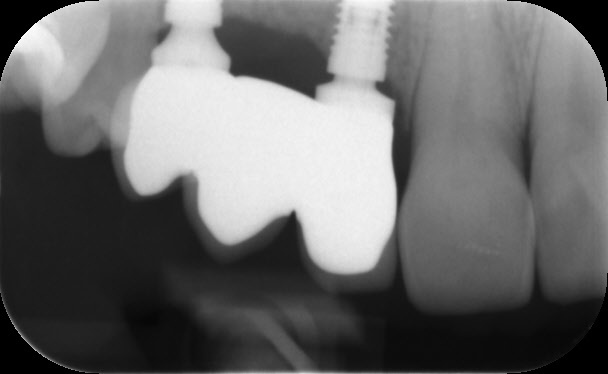 Dental implants have been in use since the mid 1980's since an orthopaedic surgeon discovered the principle of osseo-integration by chance. 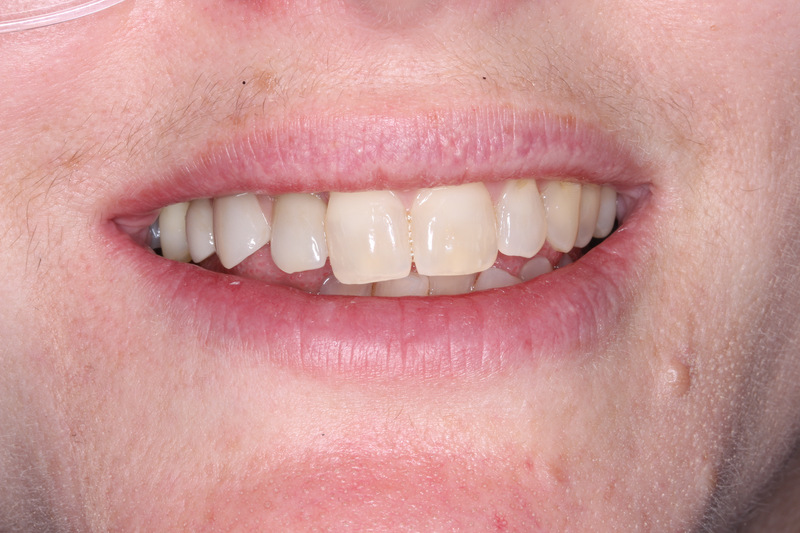 We present a female patient who came to our clinic for help to replace 3 missing teeth on the upper right side. 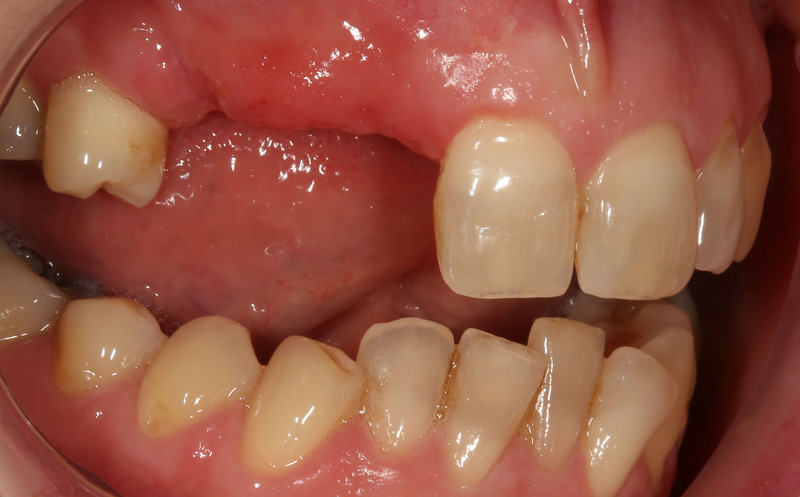 The patient was unhappy about using a partial removable denture which was uncomfortable and irritating to the teeth and gum tissues. 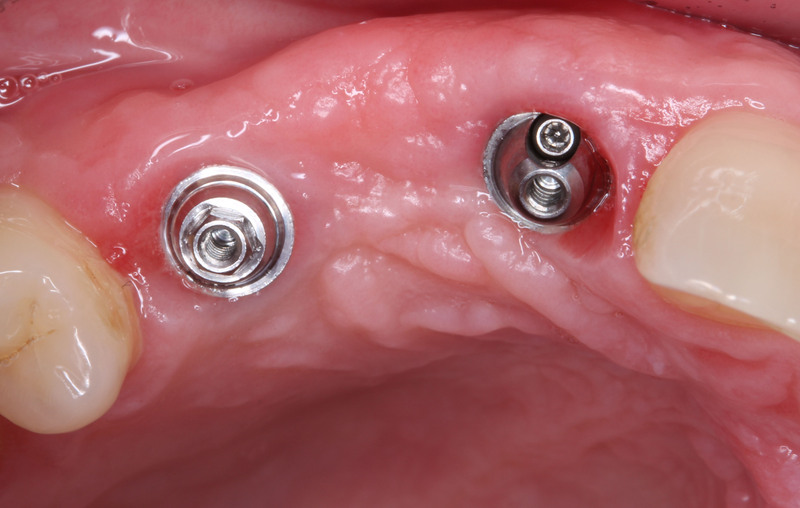 After an initial assessment the dentist was able to assess if dental implants were suitable and a good solution for replacing the missing teeth. 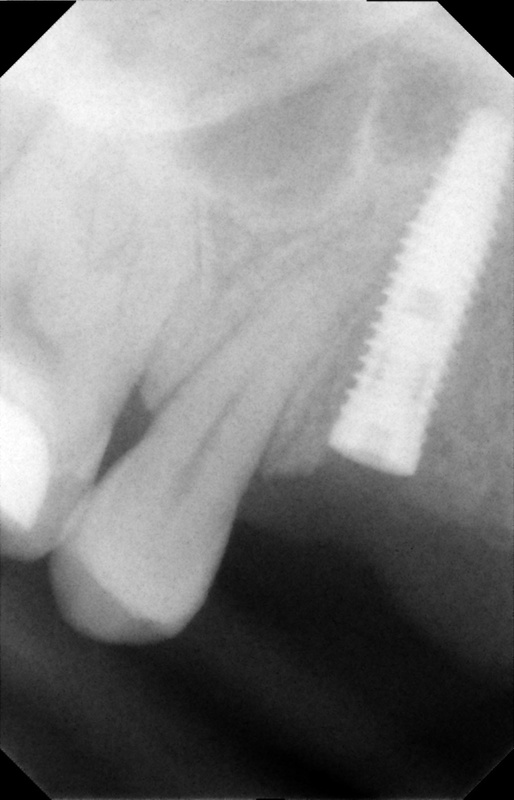 Dental implants require adequate amounts of bone in order for the implants to be stable and provide a foundation for the implant crowns or bridge they support. 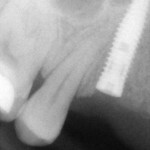 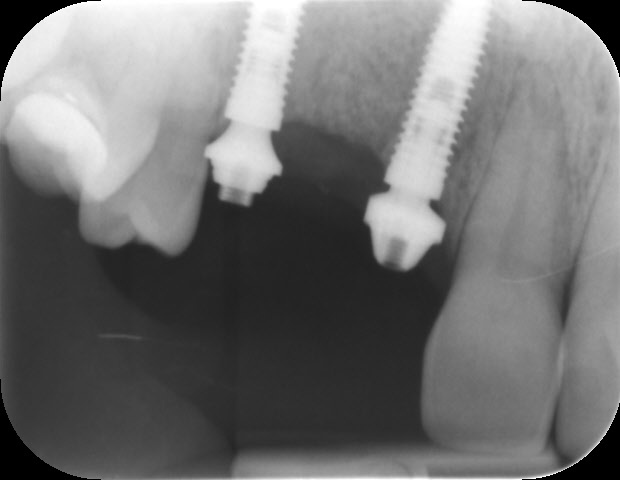 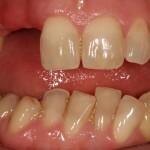 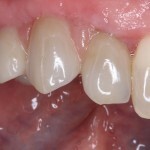 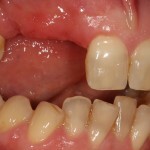 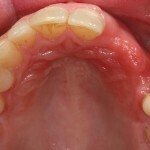 In this case the patient received two dental implants. 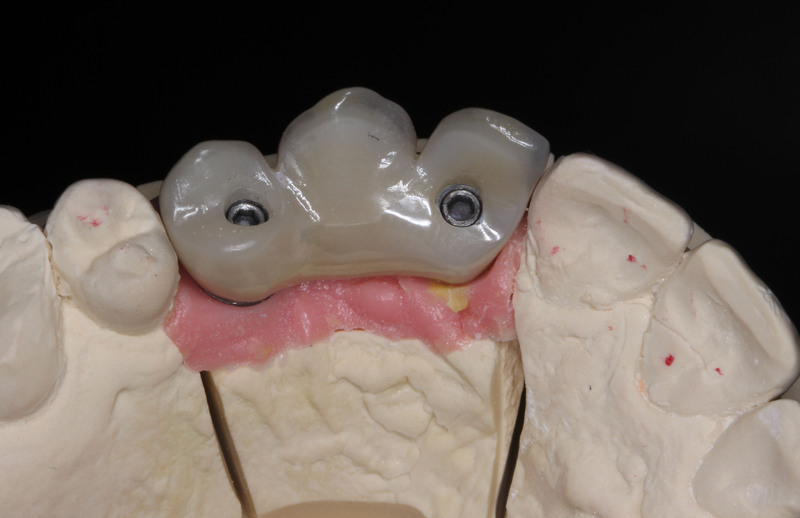 After the surgery the implants were left buried under the gum tissues in what is also called a 2 stage dental implant procedure. 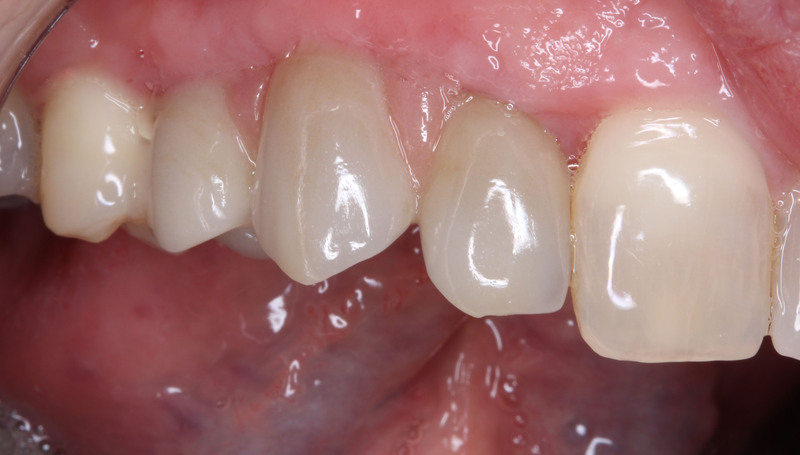 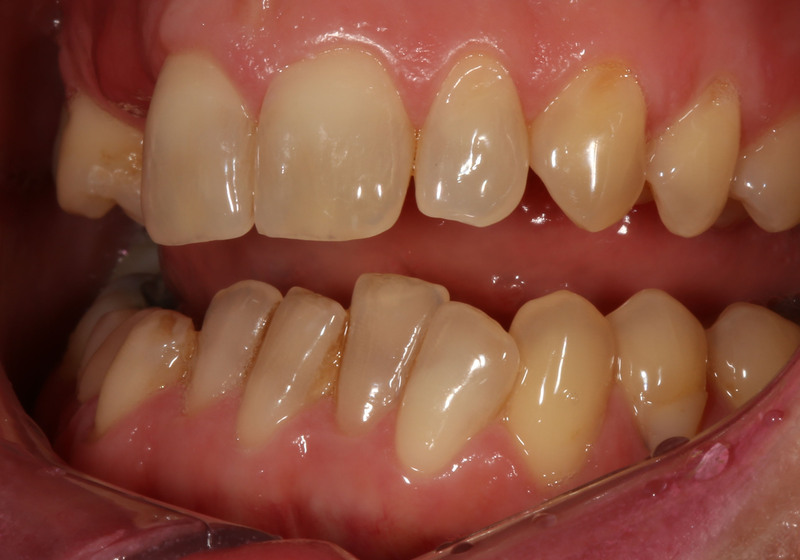 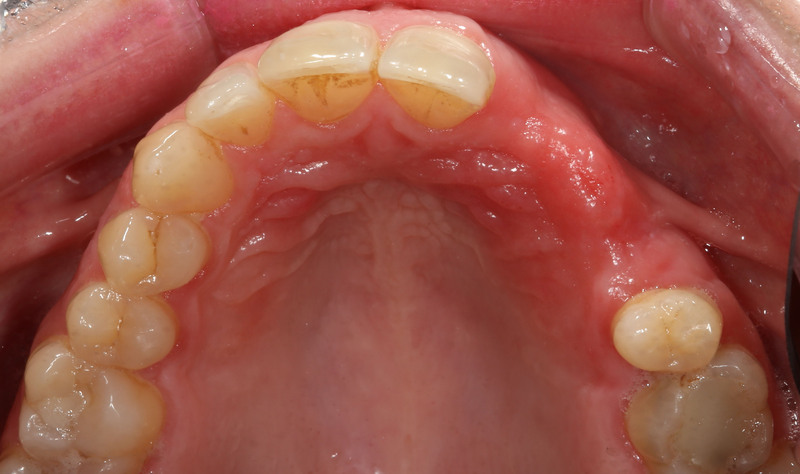 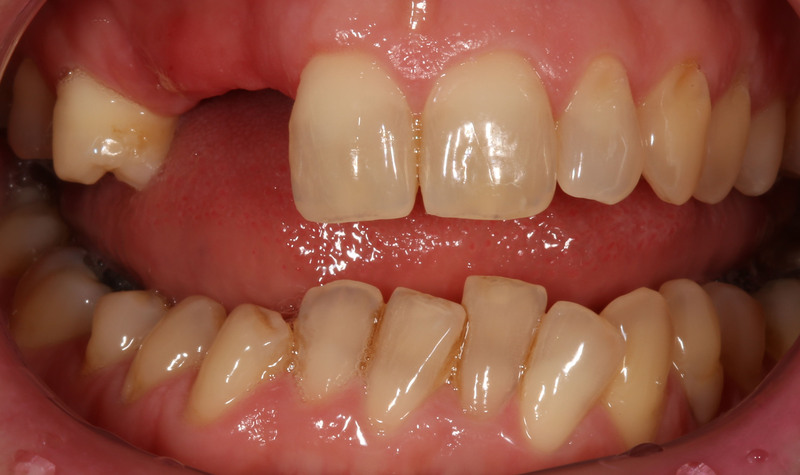 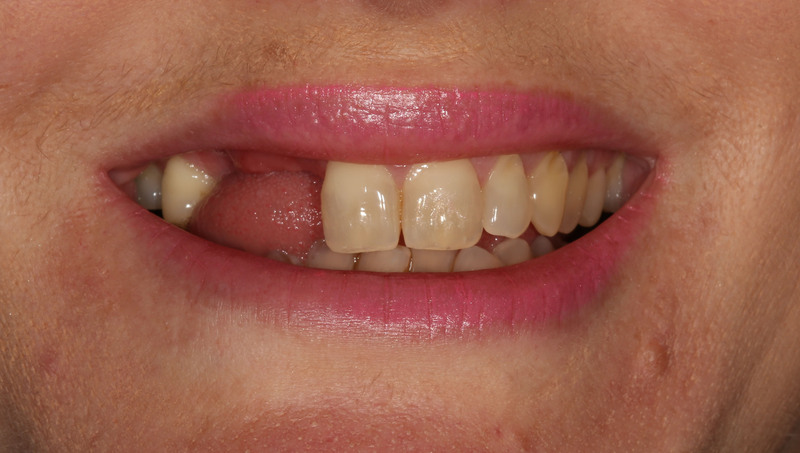 During the 4 months of healing the patient was able to continue using the removable partial denture as normal. 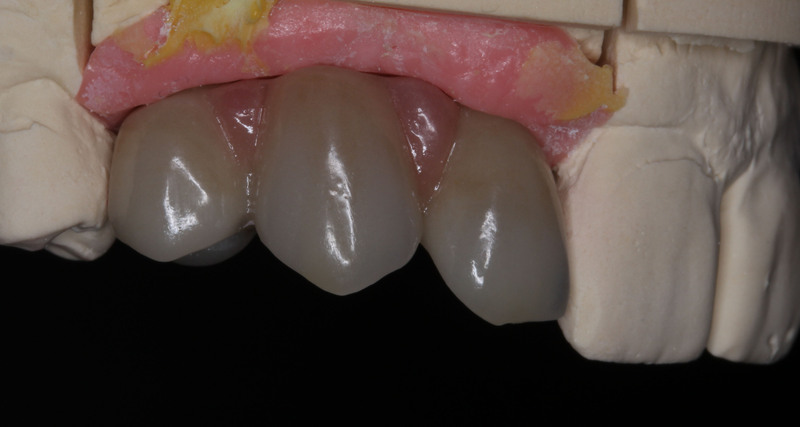 Four months after the implant surgery the patient returned to the clinic where the implants and surrounding bone were assessed to check if the surgery had been successful. 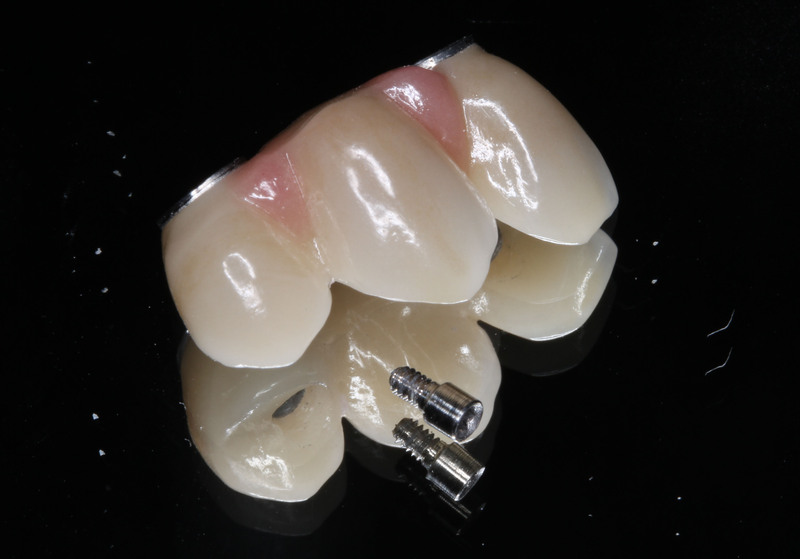 A small force is applied to the implant and provided the implant is strong enough to resist this force it is confirmed that the implant has integrated successfully. 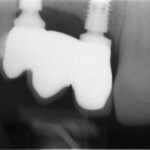 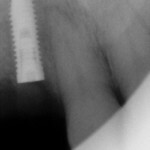 Radiographs are also used to ensure that the bone has adapted well to the implant surface. 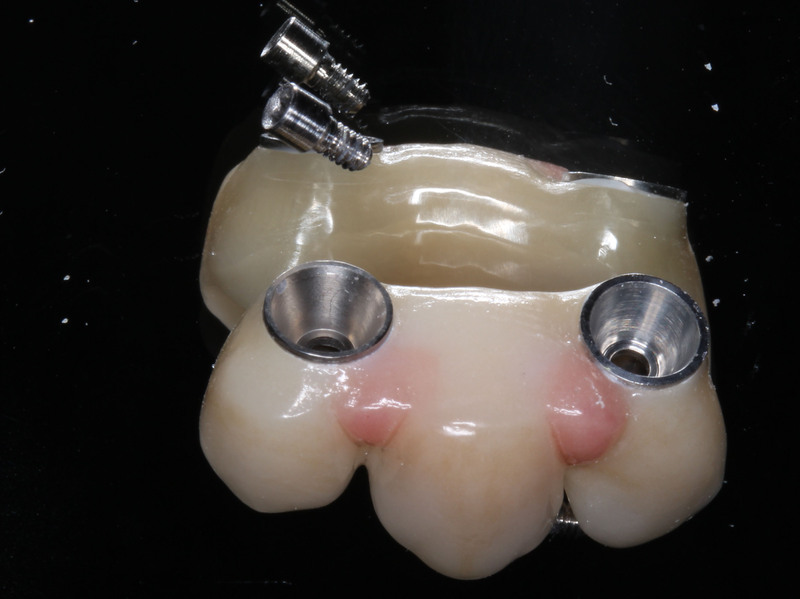 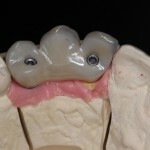 Small abutments were attached to the implants in order to act as the base for the implant restorations. 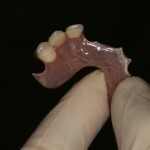 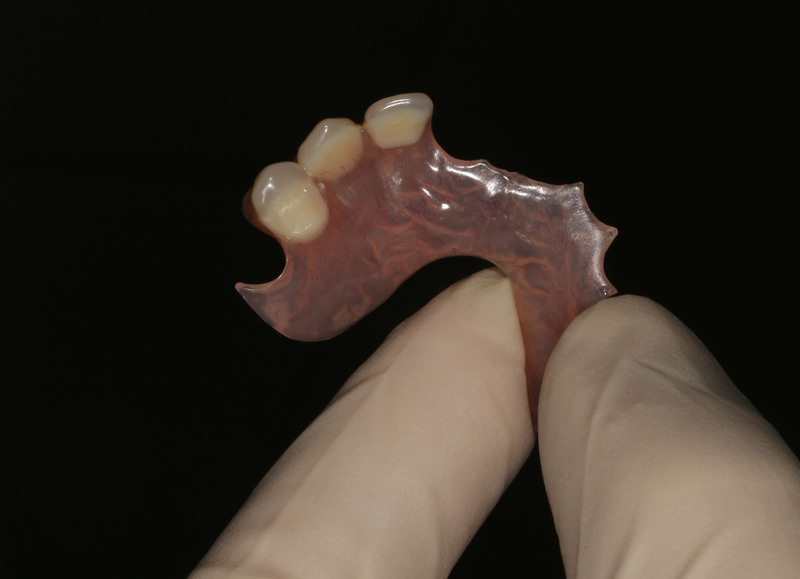 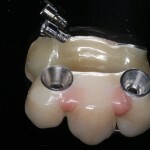 The dental technicians were able to produce a metal free zirconia bridge which consisted of both teeth and gum tissues. 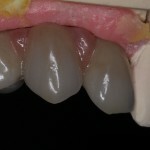 Zirconia is a highly aesthetic, hard wearing and natural looking restorative material in dentistry. 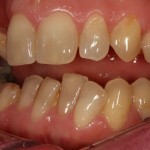 After 5 months of treatment the patient was able to function normally again and smile with confidence. 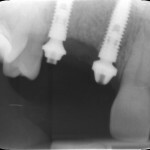 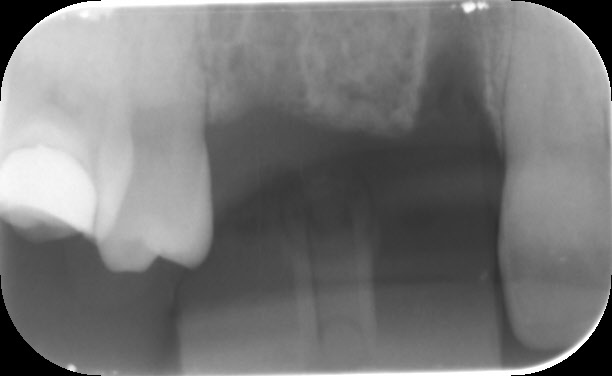 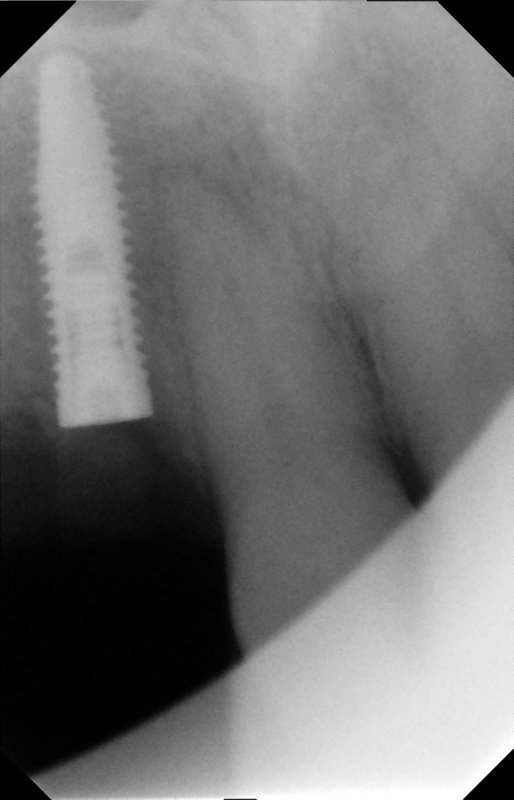 Radiograph showing bone before implant placement. 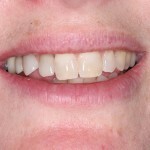 New smile completed with fixed dental implants.